As soon as I saw Essie’s Starry Starry Night nail polish in Boots, I had to snap it up. As Essie has recently celebrated turning 35 years old, they’ve released a limited edition Retro Revival range. The Retro Revival range features different nail polishes from Essie’s back catalogue, including this nail polish which was released in 1997. 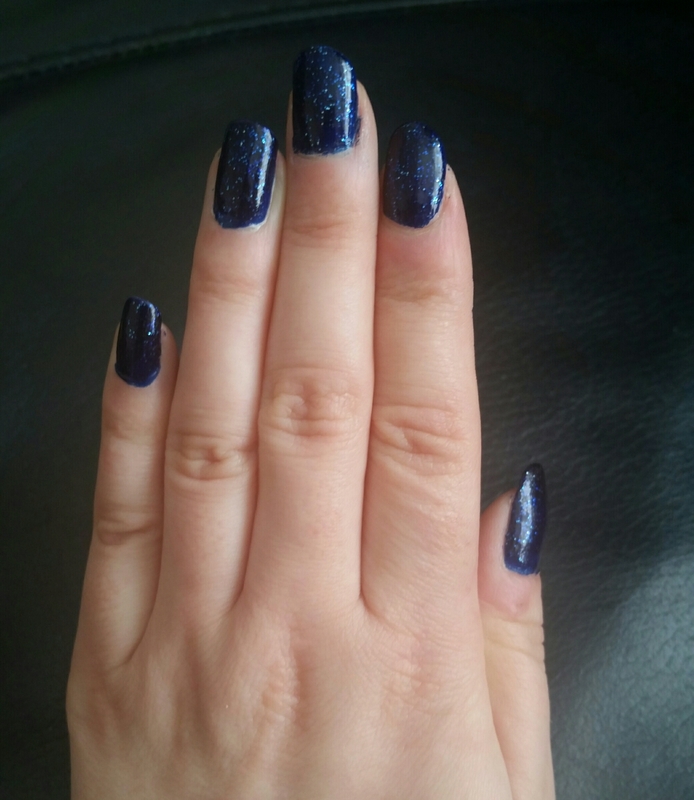 So I know that a lot has been made of Starry Starry Night being different to the original nail polish, but it’s still gorgeous. This new version does have larger more scattered glitter particles than the original, which does give less of a ‘starry sky’ effect and the shade of blue is also slightly different. 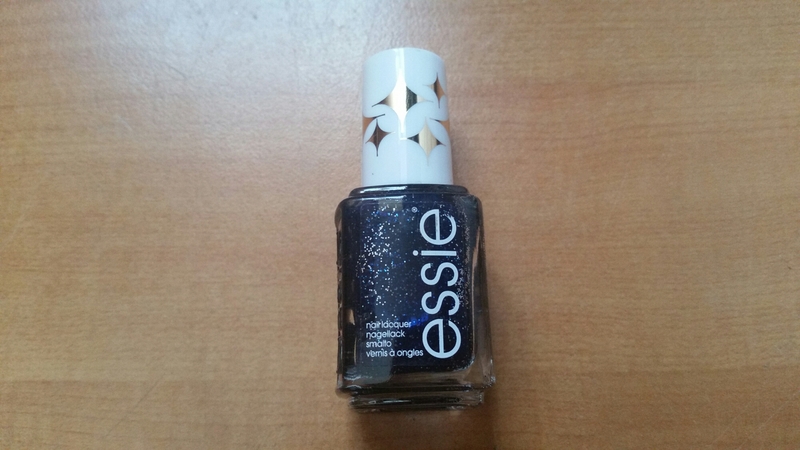 I agree with what other bloggers have said, I’m not too sure why they re-released this and didn’t make it exactly the same as the original, but I guess Essie must have their reasons. Below is a photo showing the difference between the original nail polish and the new one. This photo isn’t my own, but taken from online. Onto the colour and texture of this nail polish. 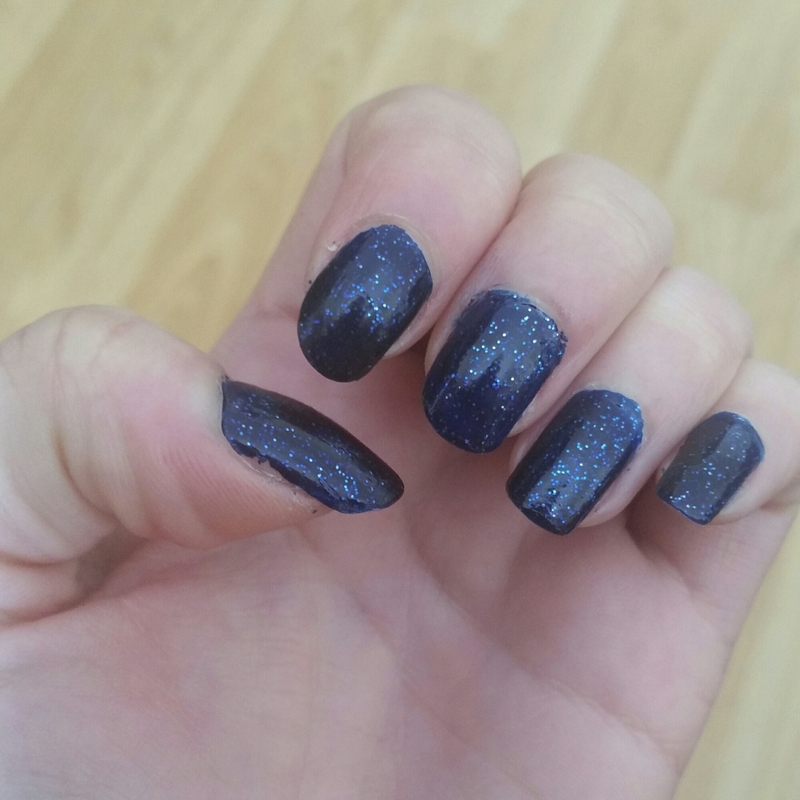 Starry Starry Night is a gorgeous midnight blue with scattered silver glitter. One coat of this polish gives a lighter navy finish and two coats gives a deeper midnight blue colour. A lot of people have said this nail polish is thick and tar like in texture. Whilst I did find this polish a bit thicker than many I already own, it wasn’t anywhere near as thick as I was expecting. However, I did find it took a bit more work to spread this evenly across my nails. Below is some photos of my nails. In different lighting you can see the blue looks different shades. I personally love the colour of this nail polish and I find the texture fine, but it has no lasting power at all! I used a base and a top coat with this polish and it had chipped within a matter of hours. I repainted my nails and by the next morning they had chipped again. Overall I like this polish, but due to it’s lack of staying power, I probably wont use this too often. 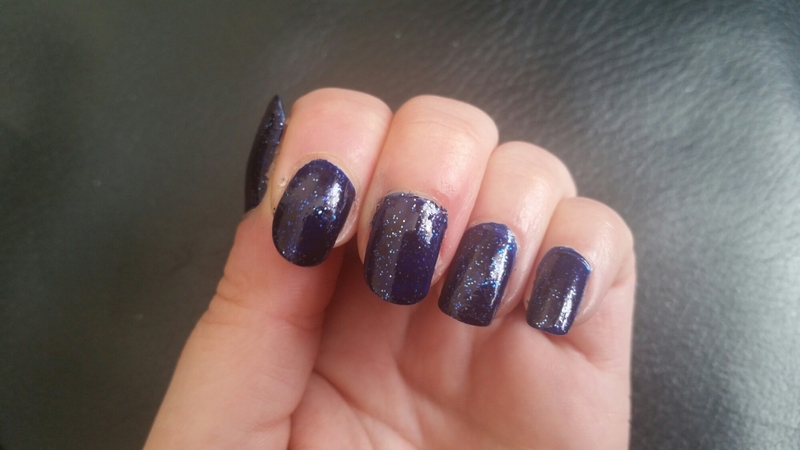 Let me know if you’ve tried Essie’s Starry Starry Night nail polish. Yes it’ really pretty! Sure. I enjoy every second. And the weather is wonderful! 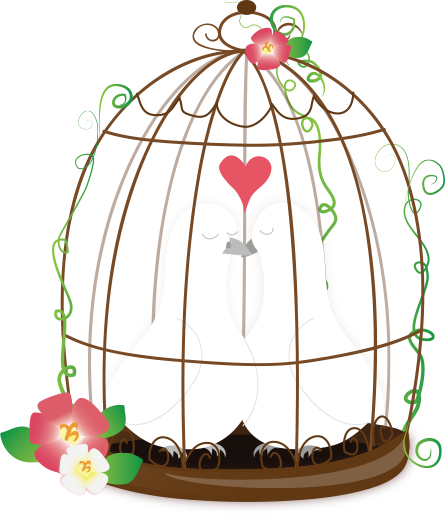 I bought this and I renamed it Tarry Tarry Night! The formula of mine was so thick and goopy! And it chipped on me after a couple of days too. Also, as you pointed out, the original is way different. I want Essie to take this back and re-release the real SSN! wow this colour is gorgeous! Omg! I love this colour! 😍 This is so me! I hope they have it in stock in my local drugstore too!